Shocker -- Feds now say Scott Rothstein was lying! You don't say! Convicted South Florida Ponzi schemer Scott Rothstein, a disbarred attorney who ran a $1.2 billion investment scheme out of his Fort Lauderdale law firm, will not be receiving a reduction in his 50-year prison sentence because he lied to federal prosecutors, authorities said Tuesday. Prosecutors withdrew their pending motion to reduce Rothstein's sentence based on his cooperation in the sprawling racketeering investigation because he was “untruthful in an affidavit” filed with the federal court. Rothstein, who helped the U.S. attorney's office gain convictions of almost 30 defendants, was hoping to see many years cut from his sentence for his assistance. This is a tax case. Fear not, keep reading. In determining whether the IRS properly denied a taxpayer’s claimed deduction on his 2011 return, we must decide two important and (as it turns out) interesting questions. First up: Was the money that a homosexual man paid to father children through in vitro fertilization—and in particular, to identify, retain, compensate, and care for the women who served as an egg donor and a gestational surrogate—spent “for the purpose of affecting” his body’s reproductive “function” within the meaning of I.R.C. § 213? And second: In answering the statutory question “no,” and thus in disallowing the taxpayer’s deduction of his IVF-related expenses, did the IRS violate his right to equal protection of the laws either by infringing a “fundamental right” or by engaging in unconstitutional discrimination? We hold that the costs of the IVF-related procedures at issue were not paid for the purpose of affecting the taxpayer’s own reproductive function—and therefore are not deductible—and that the IRS did not violate the Constitution in disallowing the deduction. The JNC is now accepting applications for federal judge. Here is the letter explaining the procedure. There are 5 vacancies, and the JNC will be sending up 10 names. These are all openings for Ft. Lauderdale, West Palm, and Ft. Pierce. None of the openings are for Miami. The applications are due October 12 and interviews will be November 28 and 29. Here is the application form. (Also, applications are due today for magistrate judge). More on the U.S. Attorney slot below. A Miami family court judge is emerging as a new favorite to become the next U.S. attorney for the Southern District of Florida, a post of keen interest to President Donald Trump because its jurisdiction includes his self-styled winter White House, Mar-a-Lago. Circuit Judge Ariana Fajardo Orshan in recent days has risen to the top of a crowded pack of potential nominees and has the backing of Sen. Marco Rubio and Gov. Rick Scott, one of Trump’s most loyal supporters. Scott appointed her to the bench in Florida’s Eleventh Circuit Court in 2012 before she was reelected without opposition in 2014. Fajardo Orshan, who gave POLITICO a “no comment” when called about the buzz over her possible nomination, also has the support of Labor Secretary Alexander Acosta, a fellow Miami Republican who served as the top prosecutor in the South Florida district under President George W. Bush, according to sources familiar with the nominating process. Acosta was also dean of Florida International University’s law school, where Fajardo Orshan is an adjunct professor. This must not have been easy. The 11th Circuit has asked for some help from the Texas Supreme Court. Favorite of Twitter, Texas Supreme Court Justice Don Willett: Get Ready! This appeal arises from an allegedly defective surgical mesh implant. The question to be answered concerns whether under the Texas “discovery rule” a claim accrues for purposes of starting the applicable statute of limitations period when a plaintiff knows, or has reason to know, that there is a connection between her injury and the defendant’s product or whether instead accrual (and the corresponding start of the limitations period) occurs only when the plaintiff also has reason to know that the manufacturer acted wrongfully or negligently in its manufacture of the product. The District Court concluded that the former interpretation of Texas law was correct, and therefore granted summary judgment in favor of Mentor Worldwide LCC, the Appellee in this case. The Appellant, Ms. Ann Bergin—a resident of Texas—argues that accrual requires discovery of both the injury and its negligent cause. Thus, she avers, the District Court erred in its application of Texas law. To resolve this appeal, we must decide which of the above positions is correct, but that answer depends on an unresolved question of Texas law. We therefore certify this question of law, based on the factual background recited below, to the Supreme Court of Texas and respectfully request its guidance. Although the Federal Courthouses are open in the District (except for Key West), you should check in with the courtroom deputy if you have a matter scheduled this week. Apparently, some of the individual courtrooms in the Ferguson building are still without power, and in those courtrooms, matters are being rescheduled. I am still without power, wifi, etc., as well, so blogging will be a little slow for now. Southern District courthouses to reopen Monday. Hope everyone is back up and running. Although the Court will generally remain closed to the public, depending on circumstances of power at each courthouse, Court employees are generally directed to return to work as of Thursday, Sept. 14th, if practical, as described below. This will enable the Court to prepare for the return to normal operations next week. 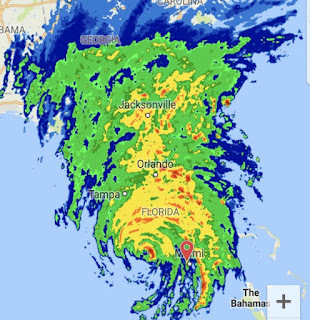 Specifically, all Court staff in West Palm Beach and Fort Lauderdale should report to work Thursday, Sept. 14th, if possible. All Miami supervisors and managers should report if possible on Thursday, as well as Miami IT staff, other critical Miami staff as directed by their supervisors and those who work in the Atkins and King Courthouses. In Key West and Fort Pierce, where the courthouses mostly do not have power or have other issues needing to be resolved, staff do not need to report at this time. Probation staff should contact their supervisors for reporting instructions, which may be different than for other Court personnel. If employees are unable to return to work due to their evacuation or other personal circumstances, the Court will be flexible in granting administrative leave for Thursday and Friday. The Court’s top priority is the safety and well being of our personnel, and no employee is expected to return to work if it would put their safety in jeopardy. However, all employees must pay close attention to the Court’s website and be on the look out for calls/emails from the Court providing further updates. If employees are unable to return to work Sept. 14th, they nonetheless should contact their supervisors and stay in close contact for further developments. Magistrate duty Court for only new arrests and other urgent matters will commence in Miami on Thursday, Sept. 14th, at 1:30 p.m. or such other time as directed. Staff necessary to cover duty court will be contacted and directed to report. Magistrate duty Court at other divisions will be scheduled on an as-needed basis. It looks like downtown Miami is mostly back up and running. The Flagler Starbucks is open. Many restaurants are also now open. It is unclear when magistrate court will reopen. The Dark Web. For many, the name conjures images of a suspect shadow internet world where virtually anything can be bought for the right price. * Indeed, Bureau of Alcohol, Tobacco, Firearms & Explosives (“ATF”) Special Agent Tully Kessler described the Dark Web as “another side of the Internet . . . access[ible] through your Internet provider . . . [but only using] special software.” He opined that it “allow[s] the sale and trade of all kinds of things that you would never find on a regular website open to the public.” And the Dark Web—on, in one case, a site called Black Market Reloaded—is where Defendant-Appellant Michael Albert Focia chose to sell firearms domestically and internationally. A jury convicted Focia of dealing in firearms without a federal firearms license, in violation of 18 U.S.C. § 922(a)(1)(A), and selling firearms to unlicensed residents of states other than his own without having a license to do so, in violation of 18 U.S.C. § 922(a)(5). He now challenges the sufficiency of the evidence to convict him, the jury instructions, the constitutionality of the criminal statutes of which he was convicted, and his sentence. After careful consideration, and with the benefit of oral argument, we affirm Focia’s conviction and sentence. *In fact, the Dark Web also has a different side. Because of its layered encryption system, it plays an important role in providing safe fora for, among others, whistleblowers and journalists. Here's hoping everyone came out of the storm okay. I have no power and limited cell service at home, but the office is operational with power and internet. Although it's a ghost town, it looks like many of the buildings in downtown Miami have power. Some are still blocked off though, so you should check first before trekking down here. If you are coming from the south, US1 is moving along but at many spots, there are no lights and there are trees blocking the road (sometimes making US1 into one lane). After closely reviewing the entire record, we cannot say that the trial court abused its discretion in denying Jeri’s motion for a new trial. Although we think it would have been wiser to allow Jeri time to view the video before starting the trial, the tape was not exculpatory and Jeri has not come close to establishing specific and substantial prejudice from this omission. We can discern no other errors in this record, and, therefore, affirm the judgment of the district court. What effect will "wiser" have on district courts? Good luck to all during the storm. I will try to keep up the blog if possible with updates. Downtown Miami is a ghost town right now. One 11th Circuit update -- Trump has nominated Elizabeth Branch to the 11th Circuit for Judge Hull's seat. She is currently a Georgia state appellate judge. She is an Emory law grad and clerked for Judge Owen Forrester (N.D. Ga.). The SDFla courthouses will be closed Thursday and Friday. The award banquets on Thursday night and Saturday night have also been cancelled. Stay safe! It's Legal Awards Season in Miami. The Federal Bar Association has its big gala next Thursday, September 7 at the Four Seasons. The big award is called "The Ned" after Edward B. Davis. I have a soft spot for this award because it is named after the judge that I clerked for. 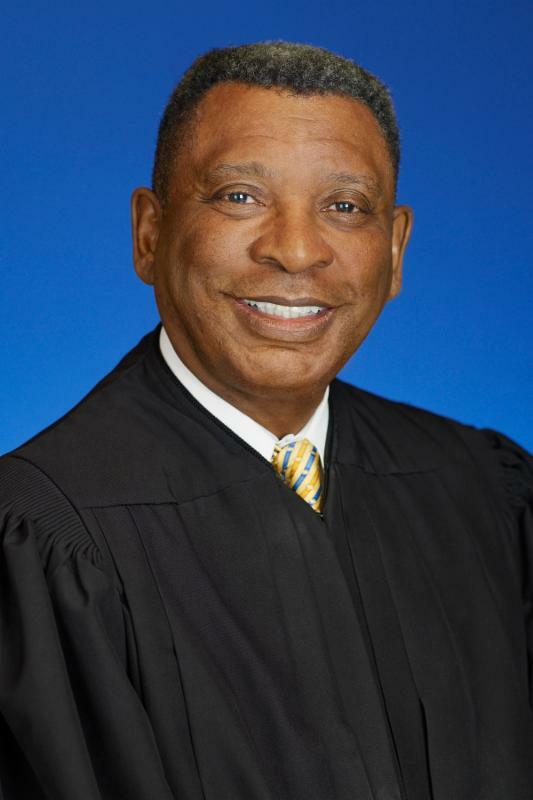 Judge Davis was simply the best. Besides being an absolute awesome judge, he was a great man. 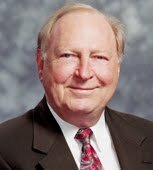 I am proud that the FBA is awarding this year's Ned to Donald L. Graham. Judge Davis always loved Judge Graham and would be happy about this. The Dade County Bar Association is also having its big party on September 9 at the JW Marriott. The Presidential Award winners are: Sec. of Labor Alex Acosta, Judge Robert Luck, and Judge Lisa Walsh. The David Dyer Professionalism Award is going to Judge Kathleen Williams, and the Johnnie Ridgely Award is for Judge Beth Bloom.